Misconstruing the Man Book Club, and we recommend Paper Girls by Brian K. Vaughan and Cliff Chiang, and Everybody’s Fool by Richard Russo. Booktopia was this past weekend, and it was the first Booktopia not organized by us. Northshire Bookstore and the Inn at Manchester put together a wonderful weekend, judging by the comments and photos we saw online. If you weren’t able to attend, but want to read some of the books that were featured, here’s a list. 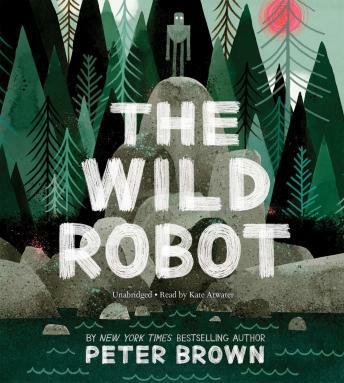 The Wild Robot by Peter Brown, narrated by Kate Atwater, is my pick for this week’s Audiobooks.com Audiobook of the Week. A recent New York Times article, called Men Have Book Clubs, Too, led to a bit of discussion on my Facebook page. I made a pretty harsh pronouncement about the members of The Man Book Club, however my opinion was very much colored by the article and by my slight misreading of it. One of their rules (which they admittedly don’t always follow) is no books by a woman about a woman. Ann and I discuss the possible reasons for this rule and whether it could ever be considered a good thing to limit one’s reading this way. 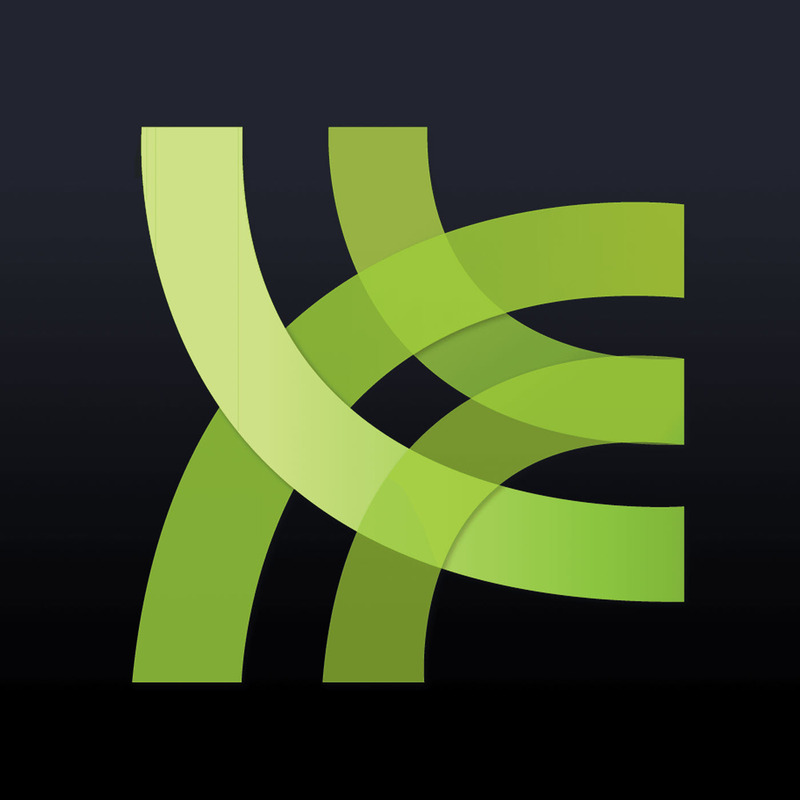 Be sure to read the group’s blog post, titled An Apologia, where they respond to the omissions in, and misconceptions perpetrated by, the NYT article. And do check out the list of books they have read thus far. I officially apologize for my original comment! I recommend Paper Girls, Vol. 1, written by Brian K. Vaughan, with art by Cliff Chiang. 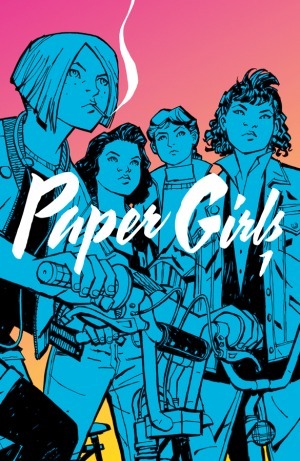 It’s the story of 4 twelve-year-old paper girls in 1988. It’s the morning after Halloween, and strange “people” are wandering their neighborhood. Are they teenagers still in costume from the night before, or are they something more sinister? A few weeks ago, Ann recommended Nobody’s Fool for our Don’t You Forget About Me. 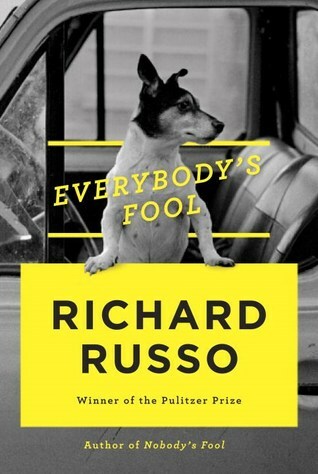 She read it recently to prepare for reading Richard Russo’s newest book Everybody’s Fool. The new book returns to North Bath, NY. It’s both funny and tragic, and it revisits many of the characters from the first book, as well as introducing some new ones. Ann promises that you don’t have to have read the older book to enjoy the new one!